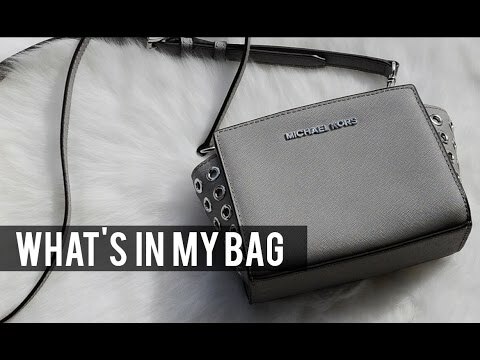 Call me weird, but I love watching the basic YouTube videos like 'what's in my bag' or tags and room tours; it's interesting to me. I like to see similarities and differences between myself and other youtubers/bloggers. A few of those videos made me think about what I carry with me or have in my room--those videos bring me to this post today. I've dumped my purse and cleaned out or rearranged my room multiple times to find the perfect fit for me that included my necessities. During the colder months or school year I generally carry a backpack or larger tote because I need somewhere to throw my beanie and iPad, but in the summer I'm on the go so a small bag works. I recently downsized to this mini cross body so I can only bring the necessities for wherever I'm going. This is what's in my small bag for a typical summer day. I hope you enjoy this short video and feel free to leave a comment telling me what your necessities are!